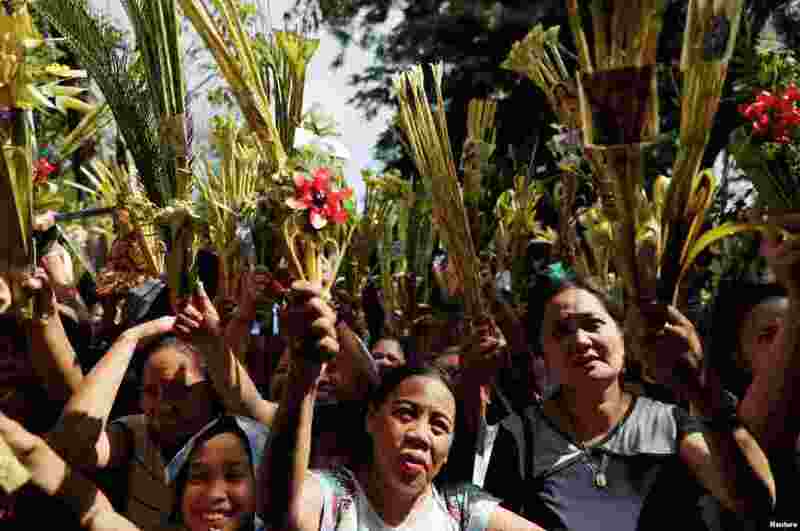 1 Filipino Catholics wave palm fronds to be blessed before Palm Sunday mass in a Catholic church in Paranaque City, Philippines. 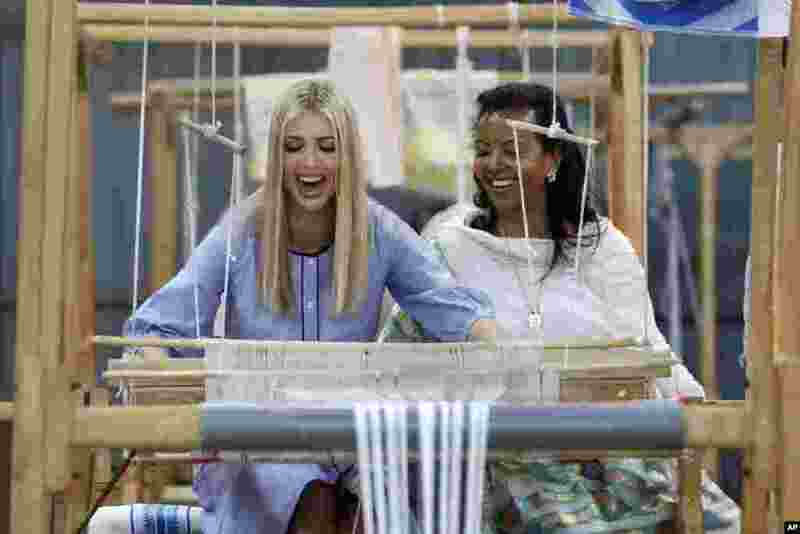 2 White House senior adviser Ivanka Trump, left, reacts as she tries a traditional weaving loom at Muya, a manufacturing center of textile and traditional crafts, with Muya founder Sara Abera, in Addis Ababa, Ethiopia. 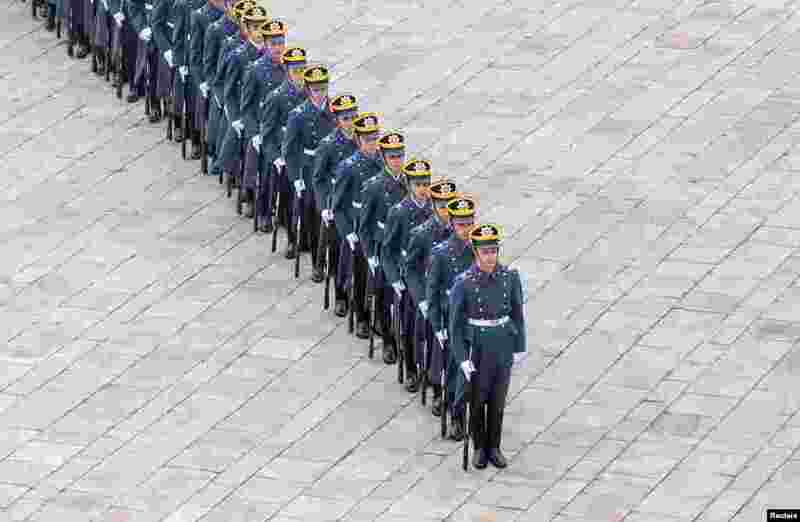 3 Members of the Presidential Regiment take part in the Changing of the Guard ceremony in the Kremlin, Moscow, Russia, April 13, 2019. 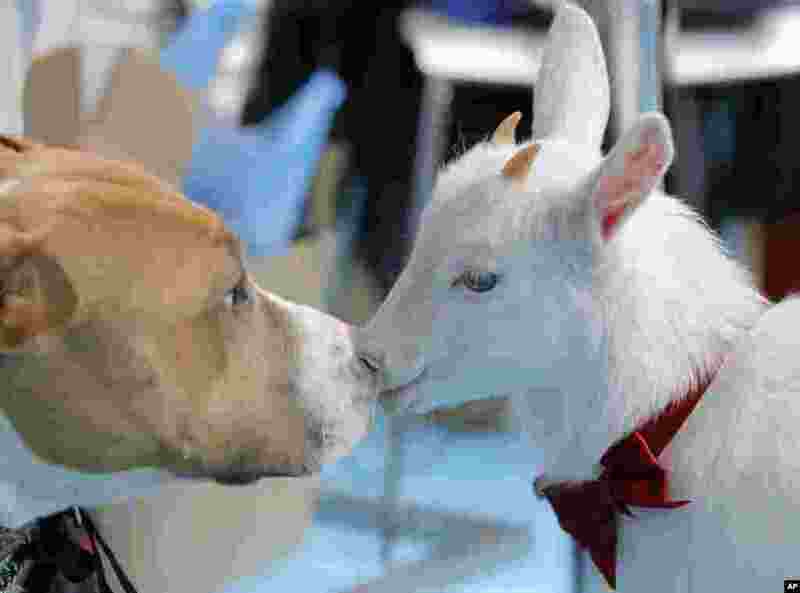 4 A baby goat and a dog are seen at the Pet Expo 2019, a pet show in Bucharest, Romania, April 13, 2019.